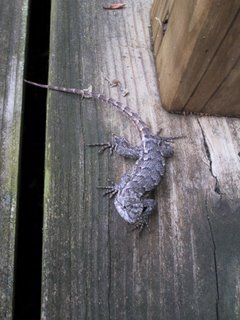 Sure enough, some lizards have been observed as the summer has heated up in Southern New Jersey. 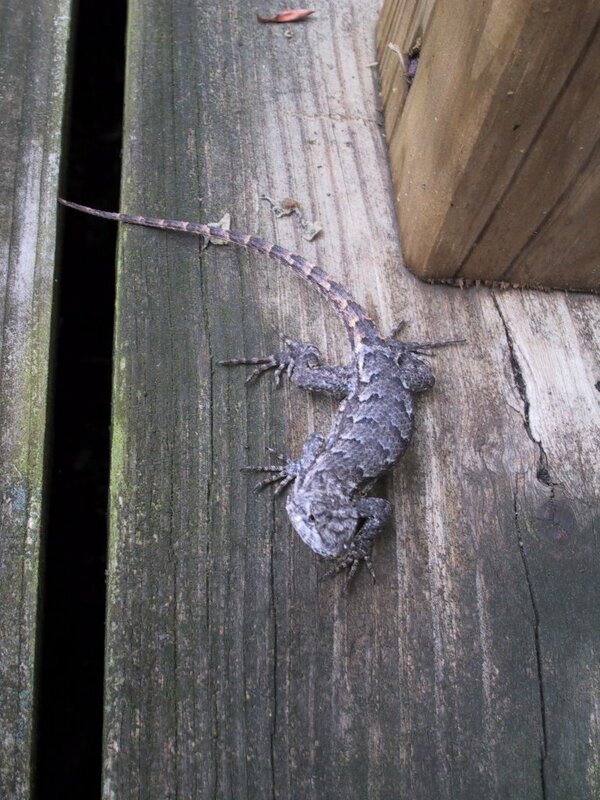 The gray color and line pattern on the back indicates this is a female Northern Fence Lizard. Males of the species (Sceloporus undulatus hyacinthinus) are brown with no or a minimal pattern on their backs. No salamanders have been sighted – yet.